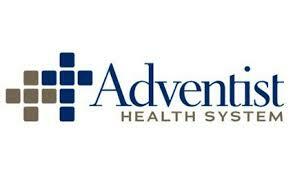 Adventist Health System is a national health care organization with over 78,000 employees and 46 hospital campuses spanning across 10 states. Its facilities extend to urgent care centers, home health and hospice agencies, and skilled nursing facilities. With each facility operating independently in delivering care and services to the local communities in which they serve, Adventist experienced a lack of standardization, visibility into their spend, and reporting by location. Adventist hired AFFLINK and their web-based technology, the ELEVATE software, for insights into their facilities’ spend and help in managing their supply chain costs. AFFLINK secured the National program with Adventist which consisted of servicing their acute care locations, long-term care facilities and school locations. Tasked with standardizing the can liners used at six of Adventist’s locations, AFFLINK used ELEVATE to leverage volume and pricing, reduce waste, and present overall savings. Under the direction of Marie Carr, AFFLINK’s Director of Healthcare, the six locations were surveyed by local sales professionals to find the right can liner size and fit. AFFLINK began the analyses by determining the existing sizes of can liners and receptacles used at each facility. They then tested samples of proposed items and finalized the site analyses by consolidating to a formula that met the requirements of each facility; such as whether or not sharp objects were being disposed, whether they were handled under rough transportation conditions, and the weight threshold of each can liner. Upon identifying an overabundance of SKU’s in Adventist’s system with the help of the ELEVATE tool, AFFLINK reduced can liner SKU’s from over 130 different can liners down to 53 can liners, significantly reducing costs. Standardized procedures were implemented across all facilities resulting in cost savings of over $200,000 in one year. AFFLINK implemented a new reporting process that gave Adventist visibility into their spend, making it possible to track their progress and improve communications from their headquarter offices to their local facilities. With the help of the ELEVATE supply chain management software, Adventist was able to achieve their standardization goals across all facilities and instill best practices that have positively impacted their standing and growth in the marketplace.